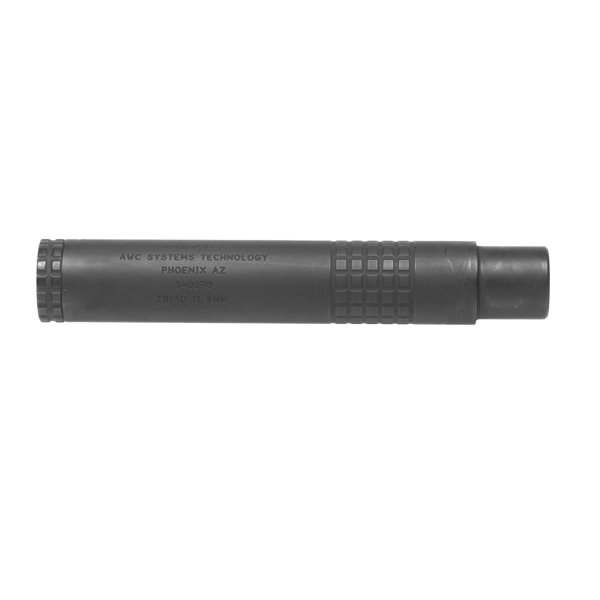 The next step in the TRIAD series of pistol suppressors, AWC as redesigned a take-apart version made from aircraft grade aluminum. Thus reducing weight and offering self servicing. The TRIAD II with its take-apart design offers improved suppression performance over the earlier versions along with simplified cleaning & grease packing for wet operations.